Gov. Dannel P. Malloy nominated Judges Nina F. Elgo of West Hartford and Maria Araujo Kahn of Cheshire to the Appellate Court, setting the stage for women to become a majority on Connecticut’s second-highest court for the first time. The judicial milestones Malloy can claim after six years as governor include nominating majorities of the Supreme and Appellate courts, while expanding gender and racial diversity throughout the court system. Women comprise just 35 percent of the Superior Court judges, while 40 percent of Malloy’s nominees have been women. Overall, 30 percent have been minorities, twice the percentages of his two immediate predecessors. Malloy said a goal remains to find qualified nominees who eventually will help the court system reflect the population of Connecticut. Malloy’s latest nominees are experienced trial judges, each appointed to the Superior Court by his two immediate Republican predecessors: Elgo by John G. Rowland in May 2004; Kahn by M. Jodi Rell in April 2006. Elgo’s previous assignments include presiding judge of the statewide child protection docket in Middletown, the juvenile division in New Haven and the criminal courts of Hartford and Enfield. She is a graduate of Connecticut College and the Georgetown University Law Center. 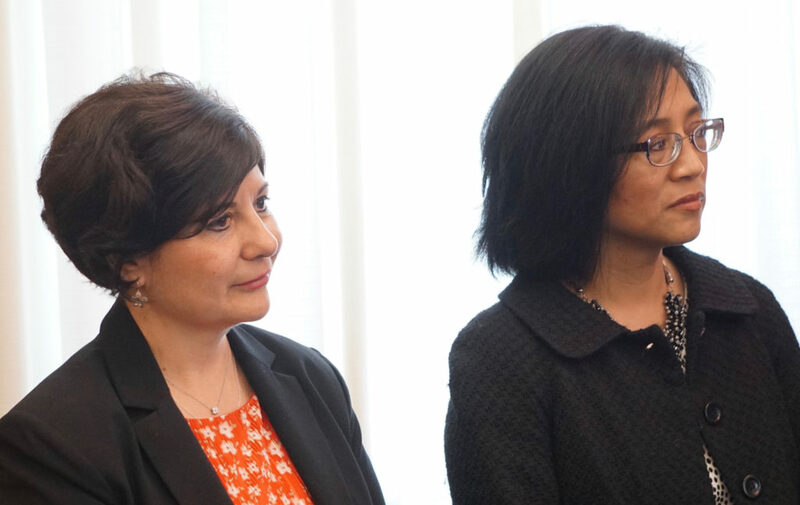 The daughter of parents from the Philippines, Elgo was the first Asian Pacific American judge in Connecticut and will be the first on the Appellate Court.